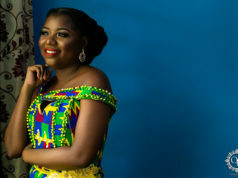 Sadion FX make up, an Accra- Ghana based freelance Makeup Company with specialization in Traditional African Makeup, Fashion Makeup, Photographic Makeup, Editorial Makeup, Wedding and Event Makeup. He has worked all around with models actors, actresses, presenters etc. 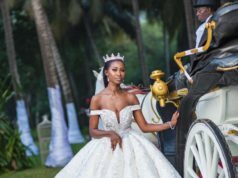 his clients include Nigerian actor Desmond Elliot, beautiful Damilola Adegbite of Tinsel fame, Ghanaian actress Lydia Forson and others. He has also worked on TV commercials and music videos. His creativity exudes in his make up with his clients. The sky is just a stepping stone for this man who is making a difference in the fashion industry in his own way. Feel free to contact him about any issue related to make up or even lessons and I’m sure he will be able to help you out. 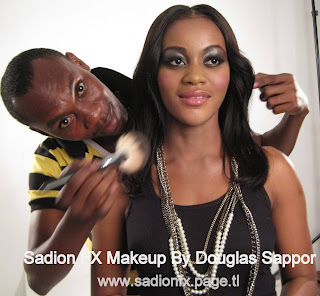 Sadion FX is an Accra based freelance make up Company with specialization in High Definition Media Makeup, Traditional African Make up, Fashion Make up, Photographic Make up, Editorial Make up and Event Make up. Sadion FX’s extensive experience, creativity and passion for makeup transformation has gained them a remarkable portfolio of private and commercial clients, working on projects such as: TV, Movies, Music videos, Fashion show/shoots, Model portfolios, commercial Ads, editorial Magazines feature and wedding Make up. We aim at giving you a pleasant and relaxing experience in the comfort of your home. Being made up, is not just about looking good but looking fantastic throughout the day. Our focus is to make you up for the special day and make you look good in photos that you will look back at for years to come .We will listen to every question you will have and suggest the best way to make you up; whether you want a traditional Make up or subtle elegant look. “You are the center of attraction and we will treat you like a king /queen. “Whatever your booking requirements, with Sadion FX you can be rest assured, because your face is in the hands of an expert.